The Cornell Institute for Public Affairs (CIPA) is a unit of the College of Human Ecology. CIPA offers a two-year program of graduate professional studies leading to the Master of Public Administration (M.P.A.) degree. The MPA curriculum fosters an understanding of the political and administrative processes through which issues, problems, and policies are formulated; knowledge of the economic and fiscal basis for government action in a market economy; analytical tools for designing and evaluating programs and assessing policy implications; insights into the behavior of public, private, and nonprofit organizations and their management; and sensitivity to the moral and ethical dimensions of public/nonprofit management and public policy issues. CIPA graduate students (known as CIPA Fellows) also develop leadership and professional skills essential to career advancement. Although administratively CIPA is a unit of the College of Human Ecology, the MPA degree is granted by the Cornell Graduate School and CIPA is a university-wide program due to the graduate field structure of Cornell. Affiliated faculty hold primary appointments in departments throughout the university, but are linked with the program via membership in the graduate field of Public Affairs. This broad representation within the graduate field brings an academic richness to CIPA that transcends disciplinary boundaries. Faculty affiliated with the program are drawn from the Departments of Policy Analysis and Management, City and Regional Planning, Civil and Environmental Engineering, and Development Sociology, as well as the Dyson School of Applied Economics and Management, the School of Industrial and Labor Relations and the Law School. The two-year master of public administration (M.P.A.) degree program requires a minimum of 16 semester-length courses; CIPA Fellows must take a minimum of four courses per semester for four semesters. Although the M.P.A. program offers a basic structure for study, each CIPA Fellow has flexibility to design a program based on his or her specific area of interest. Fellows select a concentration during the second semester of study. Experiential learning is an integral component of CIPA’s educational strategy, and a practical experience is a requirement for obtaining the M.P.A. degree. Summer internships, the CIPA Public Service Exchange, and off-campus study may be used to satisfy this requirement, and many students choose to gain experience through more than one of these options. Most of our students fulfill this requirement through a summer internship between their first and second year of study. Internships allow students to apply training in a practical environment and establish contacts for permanent employment. CIPA’s Office of Professional Development provides assistance to Fellows in finding internships that match their interests, expertise, and professional goals. Appropriate internships are available in the public, private, and nonprofit sectors. Organizations who have offered internships in recent years can be viewed on the CIPA website. The CIPA Public Service Exchange is a unique service-learning partnership with nonprofit and government agencies, many of which are located in the Ithaca/Tompkins County area. These agencies provide real world projects for Fellows to work on. In the process, Fellows gain practical work experience while completing their MPA coursework. CIPA Fellows who wish to participate in the Public Service Exchange must register for PADM 5900-Consulting for Nonprofit & Government Organizations. Tangible products demonstrating professional competence to prospective employers. In order to serve Fellows’ different career needs, CIPA offers three options for completing the requirement: a capstone project, a professional report, or a thesis. The CIPA Capstone is a semester-long course designed for second-year MPA Fellows. It offers an opportunity for Fellows to apply the knowledge and skills that they have acquired through coursework and internship experience by engaging in rigorous pro bono consulting projects for real-world public, private, and nonprofit clients. Each semester, two Capstone courses are offered, one addressing public service initiatives or policies posed by U.S. clients, and the other addressing initiatives or policies posed by clients from other countries. For each Capstone project, Fellows form consulting teams that propose solutions which are relevant and actionable. Through this experience, Fellows learn about managing client projects and undertaking sophisticated policy analyses within the constraints of different political environments and organizations. Most Fellows undertake an internship during the summer between their first and second years, and most of these will require a written deliverable at the conclusion of the experience. Some Fellows, based on their professional and career objectives, will prefer to follow up their internship experience by writing a more thorough and authoritative professional report for their client than was possible during their internship period. Fellows choosing to write a professional report will register for an independent study or directed reading course in the fall or spring semester of their second year (this will count as a specialized course). In order to meet the professional writing requirement, the report they prepare should be approved by both a representative of the client organization and the faculty member who supervised the directed reading/independent study. The thesis option is best-suited for Fellows who intend to pursue a Ph.D. beyond the M.P.A. degree, and who have some topical concern within the broad domain of public affairs that can be well-served by focused research. Thesis research is supervised by a member of the faculty of the Cornell Graduate Field of Public Affairs. Fellows who choose this option may enroll for a semester of directed reading/independent study under the supervision of their thesis advisor. The thesis must meet the formatting requirements of the Graduate School. Cornell Public Affairs Society (CPAS): CPAS is the student-run professional organization of CIPA. CPAS aims to provide Fellows with access to opportunities and experiences that enhance their professional, interpersonal and leadership skills to prepare them for a successful career in public affairs. The Cornell Policy Review: This is CIPA’s student-edited academic public policy journal. Fellows serve as both editors and contributors, and the editorial board solicits book reviews, interviews, and scholarly contributions from members of the Cornell community, alumni and others. Women in Public Policy (WIPP): This student organization is dedicated to furthering the understanding of the current role of women in public affairs and policy both in the United States and abroad. International City/County Management Association (ICMA): CIPA Fellows pursuing careers in local government participate in Cornell’s chapter of ICMA, which is jointly sponsoring by CIPA and the Department of City and Regional Planning. International Affairs Forum (IAF): This student group facilitates exposure to various issues such as cultural similarities, diverse religious traditions, and “soft power” in the field of international diplomacy and public policy, through guest speakers, student-led forums, and other events. Cornell Latin America Student Society (CLASS): Members of CLASS work together to foster the engagement of the Cornell community in projects, awareness, and other opportunities in Latin America. Fellows are required to spend four semesters of study in residence to complete the M.P.A. Exceptions are made for Fellows completing an approved semester of off-campus study. Applicants for whom English is a second language will need to meet minimum scores on either the TOEFL or IELTS exams. Required minimun scores on the TOEFL exam are: writing 20, listening 15, reading 20, speaking 22, as well as an overall combined score of at least 100. Minimum requirements on the IELTS exam are: 7.0 in each section as well as an overall score of at least 7.5. Although CIPA has a policy of rolling admission, applications must be submitted by February 1 to be considered for merit-based tuition fellowships. For more information, contact the Cornell Institute for Public Affairs, 294 Caldwell Hall (tel: (607) 255–7049; fax: (607) 255–5240; cipa@cornell.edu; www.cipa.cornell.edu). 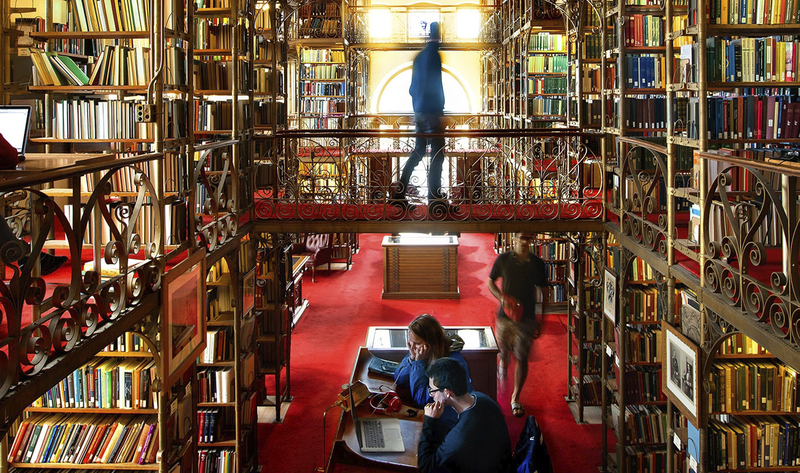 Cornell Institute for Public Affairs is able to provide some merit-based tuition fellowships. The Institute itself, however, is unable to provide full support for any individual student. Fellows often win support from Fulbright, Truman, Rangel, World Bank, and other fellowship programs. In addition, Cornell University offers numerous employment opportunities for graduate students. Applicants are encouraged to explore all available sources of external funding, including grants that may be provided by current employers.